Mesha is the CEO of the Arizona Women’s Foundation. Prior, Mesha was the Chief Development Officer for Southwest Center for HIV/AIDS and led their $10.1 million capital and capacity campaign. The organization celebrated its 25th anniversary during its 20-year largest fundraising gala. Mesha also served as the VP of Development for The Family Partnership in Minneapolis helping transition a board of advisors to fundraisers building a large donor pool. Mesha’s nonprofit journey began at the YMCA of Metropolitan Milwaukee. Mesha opened the Northside YMCA, a $16m, 114,000sf YMCA, kindergarten-8th grade charter school and childcare center, which experienced increased memberships and program revenues. Mesha received a Master of Science in Management from Cardinal Stritch University and a Bachelor in Business Administration from the University of Wisconsin-Milwaukee. 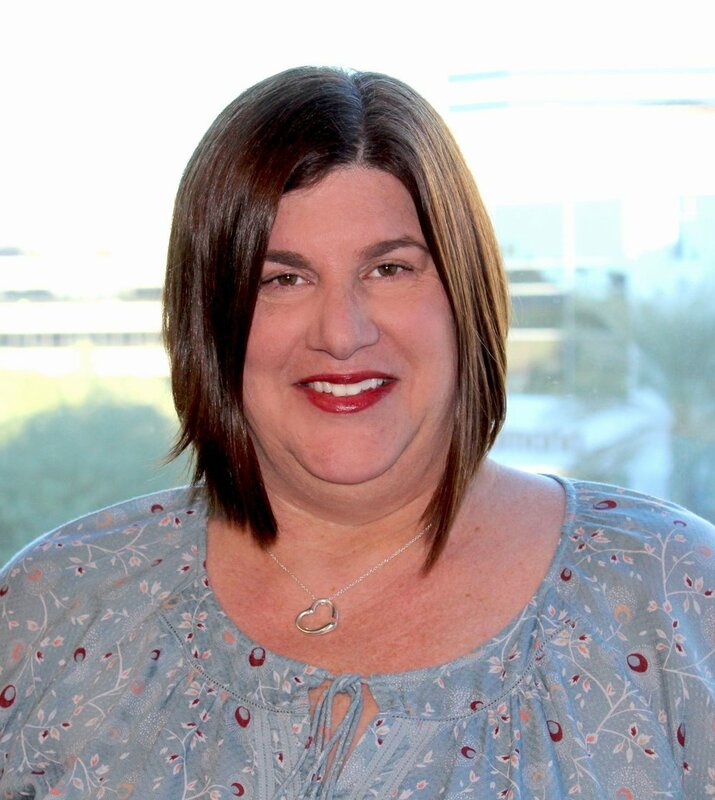 With over 15 years of professional experience in nonprofit administration and fundraising, Ellen Lord joined the Arizona Foundation for Women as Donor Relations and Program Director in July 2017. Specializing in donor and corporate cultivation, special event administration and volunteer management, she worked for the Cystic Fibrosis Foundation and LightHouse for the Blind and Visually Impaired in the San Francisco/Bay Area. Since moving to Arizona in 2010, she has held development and management positions with Southwest Human Development/Easter Seals, HALO Animal Rescue and Southwest Center for HIV/AIDS. Originally from Miami, Florida, Ellen attended the University of Georgia graduating with a BA in Broadcast Communications and a minor in Marketing/Management. She is an active member of Association of Fundraising Professionals (AFP), having served on the Greater Arizona Chapter’s Board of Directors and Co-chair of the Philanthropy Leadership Awards Dinner from 2011-2013. She has also volunteered for organizations including the Special Olympics, Huntington’s Disease Society of America, National Down Syndrome Society and Dining Out For Life International. In her free time Ellen enjoys exploring the Valley’s restaurant scene, going to movies and concerts, making jewelry and watching Georgia Bulldogs and Miami Dolphins football games and professional tennis. Meghan has a background in communications and digital marketing, and has experience supporting other nonprofits in that capacity. She holds a Bachelor's degree in Media and Communications Studies from The Catholic University of America.Prior to coming to AFW, Meghan was the Digital Marketing Manager / Executive Assistant at Scottsdale Pediatric Behavioral Services/ Scottsdale Children’s Institute. Before moving to Arizona, Meghan lived in Washington D.C. and served as the event and communications assistant at Casey Trees.